Representatives of Quang Tri Department of Foreign Affairs, Project RENEW, Provincial General Hospital, Department of Health and Rehabilitation Department participate in the ribbon-cutting ceremony to relaunch the workshop. 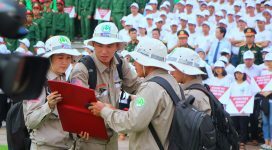 Dong Ha, Quang Tri (12 April 2018) – The Quang Tri Orthopedic Workshop was re-launched on Thursday, 12 April 2018 at the Provincial General Hospital. Its ribbon​-cutting ceremony was participated ​in ​by representatives of Project RENEW, Department of Health​, and Department of Foreign Affairs ​with Quang Tri Provincial General Hospital. After six years of suspension for construction of a new provincial hospital and training of new technicians in Ha Noi, ​the Orthopedic Workshop has been restored to full operation​al capacity thanks to support from Friends of Project RENEW, a group of private donors in the U.S. who have supported Project RENEW’s victim assistance program for many years. Do Van Tu, 29-year-old father of three, who comes to the Orthopedic Workshop for examination and casting of a new limb to replace his old one which has degraded after four years of use. 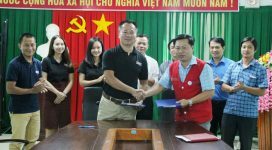 This is good news for amputees and other persons with disabilities from Quang Tri and even neighboring provinces ​such as Quang Binh. 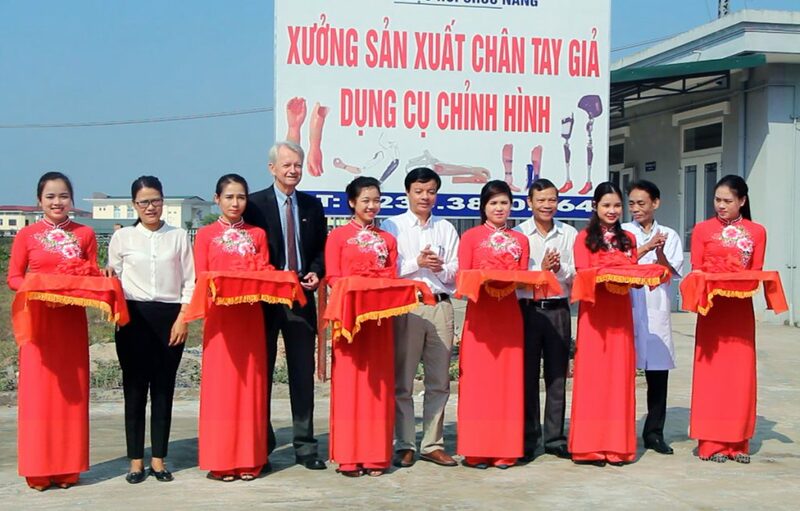 Now they can use the ​local ​workshop for examinations and fittings with custom-made ​artificial limbs, rather than having to​ ​go much farther to Da Nang for these services. Sufficiently equipped and staffed, the workshop now allows easier access for local residents who can come to the facility for services. It also serves as a central​ized and convenient ​base of operation​s for RENEW’s Prosthetics and Orthotics Mobile​ ​Outreach program which is funded by Irish Aid. So far, nearly 2,000 persons with disabilities have been​ ​provided with prostheses and other assistive devices to restore their mobility and reintegrate into​ ​community. 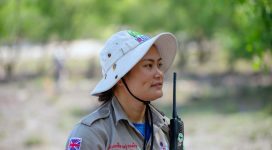 A cooperative program between the government of Quang Tri Province and foreign non-governmental organizations dedicated to restoring the environment and neutralizing the effects of the war, Project RENEW carries out UXO Survey and Clearance, Victim Assistance and Risk Education with funding from the U.S. Department of State, Irish Aid and other foundations and individuals.